I have not had much time, as it is Akasha time. Many around this time every summer, come for their records to be read. It is very time consuming indeed, but very exciting, and informative. I get to see all of the many souls, and their characters, and roles that they have had. I love this planet, and seeing the records over their time here on Earth, is an amazing journey. Like watching a movie of their entire journey! I get to even see those who lived in the Celestials, and even go into the future. The future? Yes, you are a program as a consciousness, after all. it is the funnest thing to do, but lots of hard work. It reminded me though, that souls come from all over the Universe, even here. And, many of my clients requested I do a blog on Earth Souls. So here I am, taking a little break from my work, to provide insight. Many hear of the Starseeds, and Angelic incarnated soul types, and they see how our vibrations are pretty high. 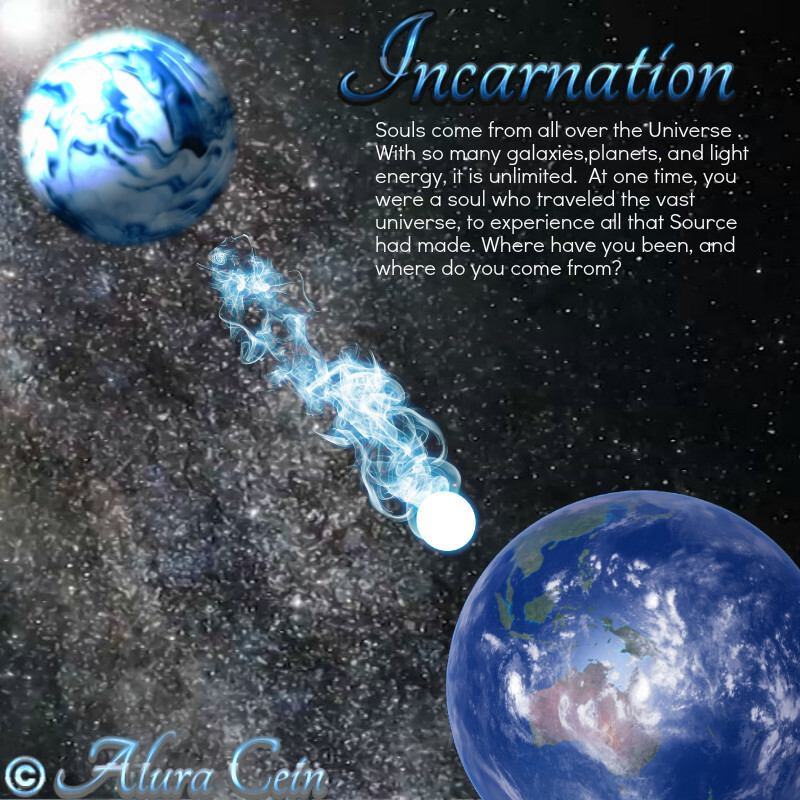 The movement that started the promotion of the incarnated soul types, misled others with their zodiac traits listed under the starseed names, and also in telling people their origins based on their birth charts when that soul will had a different birthday in each life. Each soul is unique, adding to the consciousness along its journey. They can not be classified into any group of traits, maybe generally, but ultimately each soul will be different. It is beautiful. There will not be as many starseed and angels as many think or claim. They are a special soul type, here to provide assistance of some sort. All in a different way, while many think it is to become a lightworker or psychic healer, many will be animal doctors, human doctors, politicians who change the corrupt justice system, charity workers, health promoters, earth cleanup crews, and so much more. Like, people who counsel, heal others of their suffering and addictions, activists, regular teachers who inspire in a different way, and spiritual teachers who teach the messages of the leaders before them. Angels, all will have their own unique message, different from anyone else. None the less, every role is important for the incarnated soul to fulfill to make changes in areas untouched for a long time. Thus, the need for them to seek who they are, and start fulfilling those goals of higher self. but what about souls created here on earth? Since starseeds and angels are so high in vibration, I have many who came for a reading, and wanted to be a starseed or angel so badly, to fit into the high vibration category, and when they were told they were from Earth, they were disappointed. That is because people are seeing earth, only for the crime, violence, and corruption, in society, and not for the beauty that is the creation of the planet. Indeed, earth is a beautiful place minus all of that. Light can be generated anywhere. Here on earth like in any planet, or realm, the energy forms, and is given an intelligence it will have to build on. Starseeds grow through learning in their star system, and then when they come to earth, incarnate on top of the earthly consciousness that was created between a man and woman. that consciousness is Earth Consciousness, to view this reality. In the genetics are codes, intelligence, personality traits. It is a soul, and it will act as the main conductor, until the traits of the starseed energy “wake up” and overide it. This is higher self consciousness starting to come through. But many discover their soul, not on their own, and they then try to start living by the traits, and this is not waking up, its trying to. When a person has all memory, facts and wisdom from their origins, as well as their personality fully conforming to their starseed self, that is a full awakening to self. They change completely, totally, and they live as a divine being here. No more duality, no more negativity, no more earth view. They no longer are the old earth self, and have the full truth and nothing but according to how they now see earth. Not just in a way that they see whats going on, but in the fact that they see what earth really looks like. A new sight and appearance. They awaken to the powers within, and their entire lives completely change, living the divine will of higher self, no longer struggling in this world. This helps them to be the powerful creator of their own lives, and doing it through interests, and will, that is nothing at all like their human self. The wisdom, is unparalleled. Much of the time, the earth soul programming i genetics can overide the starseed program, due to it being denser than their origins. The rulers of earth also make sure this happens so as not lose any ounce of light that is present here. Many struggle with this. But what of the souls made here? The intelligence that did not have the starseed energy incarnate on top of it? Those who were created here, without any mass of energy from somewhere else, they are Earth Souls. Some created and sent into this environment right away to grow. Some who came into existence within the joining of two lovers. And some having been fairies or elementals, who wanted human life, but none the less of earth origin. there are 7 layers to this world. Each is full of spiritual bodies who come together to make this beautiful planet the larger soul that it is. The souls of Gaia. These souls are special too. Without earth, everything would be out of balance. The earth contains special codes needed for 3D life, not always available outside of this matrix. To us we are physical, but in reality just light atoms. So are the other beings out there. Just in a faster vibration. but the see each other as you and I do here, only to us, they would be spiritual. Different perceptions, in different realities, and to the inhabitants. Earth souls, are wonderful. They may have more focus on the material level, but one who is in connection with their spirituality, will be down to earth, calm, serene, and very fun. They have great sense of humors, and if reincarnating for a long time, can be full of such an ancient wisdom from the history of earth here. Earth souls in touch with their spirituality, are generous, giving, and have a sweet nature. They love having fun, but understanding truth too. They somehow learn to combine their spirituality, with the every day life here. They see the meanings in life, but live it to the fullest using all that earth has to offer. They love fashion, dining, dancing, entertainment, and following the major trends out there to stay up to date. These are beings who love the idea of falling in love, and enjoy intimacy. They love being wanted. They also seek out ways to enjoy the places on this planet, through being on a hike, or at the beach. They also love being a homebody, relaxing with their loved ones, and are very family oriented. You would see them organizing some event for a reunion or Barbecue, birthday party, or anniversary, and having fun with it. They are very connected to nature, family, and home, but love seeing the wide outdoors, and experiencing life here on many levels. Some have even been the foundation for earth changes too. Even though JFK had an AB negative blood type, he did not have the angelic soul to activate it fully. His energy was created here, and meant to be used for the agenda of the rulers. But his earthly soul, went with his humanitarian nature, and started trying to make sweeping changes. He told the truth. Secret Societies Speech. Those of earth can make so many changes, with the ancient wisdom within themself from their journey here. newer souls made, will still need help. They will lack focus, and need redirection, some will be a little slower picking up on things especially if the society around suppresses them with subliminal messages, and controlled atmospheres such as what has been built around us by the rulers and their human leaders. Most souls here, are of earth origin. But a lot of them have been conjuring demonic souls, to enter for power. That is in Hollywood though. Most of the earth souls are going along with everything unknowing. But many who do have a deeper spiritual side, are starting to wake up to awareness too. Once they do, you see the ancient wisdom come to life. They are just as intelligent, and with a starseed or angelic teacher, their soul can evolve to the next level. They care for earth, the people, and getting the most out of life. They feel the magic within this planet all around them. It is a beautiful origin to have. with those who are sleepily following the leadership of society, they will continue to do so for sometime. But those int ouch with their deeper side, will grow and get to the next level within, helping these souls to finally have a chance to ascend. Those with earth origin can also be healers, and they can also have psychic abilities based on their connected intuition. While it may not be information outside of the matrix, it is powerful once developed, and the information can be just as useful, especially to those growing too, needing to start from earth level and work their way up. 3D is one of the lowest dimensions, but the soul within will adapt to the 4D time and open space. they love animals, they fight for humanitarianism, and they are pure according to their inner souls once spiritually living, but they have more of a fun, down to earth, way of presenting themselves in this way. They will also have wisdom or interest in , crystals of the earth, and herbals. anything that grows naturally here, of the energy of this beautiful soul called earth. but as you can see, anyone spiritual has similar interests too. But the awakened starseeds and angels will have knowledge and power beyond that, that is the only difference. I hope you all see, that no matter where you come from, you are beautiful, and as long as you are aware, and seeking spiritually, you have the chance as well as anyone else to grow. It may take a little time, but you can get there too, and be proud of coming from this beautiful Star called Earth. One day, earth will be as it was meant to. And, those who are originating from here, will get to enjoy what they were meant to.